Whether you’re thinking of starting a business or you already got one in motion, you still need a lot of information to drive your business forward. In today’s digital world, many businesses rely on data to develop strategies and make important decisions. No matter if you’re trying to determine your product/market fit or you’re about to launch a new product, information is simply crucial for business growth and success. That’s why online surveys play a vital role in market research. They offer simple means of finding the right answers to any question you might have. Through online surveys, you can effectively gather data on any important business aspect or topic that may be puzzling you at the moment. What’s more, you can also leverage information gathered from surveys to make future plans and run a market analysis. 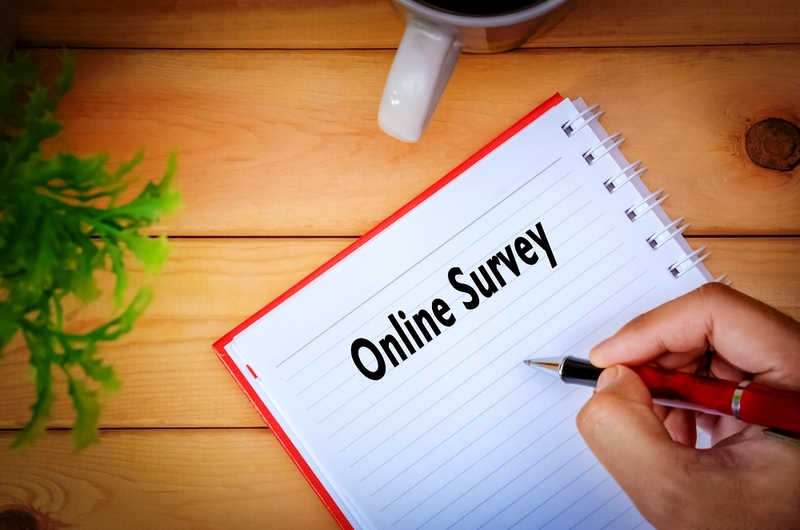 Without further ado, here are a few reasons why you should conduct an online survey right now. As mentioned before, online surveys are vital in conducting market research. If you’re about to turn an idea into a business, it’s important to know who your potential customers are and whether or not they’d be interested in the kind of products or services you have to offer. You can conduct an online survey via social media or some other media channel and ask a targeted group of consumers specific questions that will give you insight into their interests. Identifying your target audience is crucial for your endeavor. The main reason is that you’ll know exactly to whom to market your offers, without wasting time and resources on consumers who are not interested. Furthermore, you can also learn about your audiences’ demographics from surveys. For instance, their gender, age, income, location and so on. That information will help you tailor specific messages that will attract customers and make them interested in your offers. Online surveys are not only useful for identifying your target audience, but also for learning more about them. You can learn what kind of preferences your customers have, what are their needs and expectations, as well as what are their demands. However, information provided by your audience doesn’t necessarily mean that it’s objective or accurate for that matter. If you want honesty from your surveyors you have to give something in return. For instance, a good example is offering paid surveys, where they can earn money online, in exchange for information. That way, your audience will be more encouraged to disclose relevant information, especially since they have something to gain from it. Understanding your customers’ behavior and purchasing decisions is essential for designing marketing campaigns, personalized offers and other promotions. Before you decide to launch a new product or service on the market, you might want to check with your audience to see what they think about it. Just because you already have a customer base established with plenty of people buying your products, it doesn’t mean you can make just anything and expect them to buy it. What’s more, once the product is launched, it’s difficult and expensive to tweak and improve it, in case your customers don’t like it and refuse to purchase it. A simple online survey featuring a concept for new product or service will do wonders when determining its success on the market. Aside from gaining an insight into your customers’ opinions, you also show them that you value what they have to say, which will improve your relationship and inspire loyalty. Many business owners and digital marketers alike test the effectiveness of their marketing efforts by measuring responses over longer time periods. Tracking metrics provides good insight, but it can lack input from the customers themselves. The best way to improve marketing efforts and develop strategies that will have the best results is to involve your target audience and ask them for opinions. After all, marketing campaigns are designed to spark engagement in customers and inspire them to take action. But, if your customers aren’t responding well to your offers, you’d want to know the exact reason as to why that is so. Through online surveys, you can create a neutral environment where your customers can express their feelings about your efforts. What’s more, that way, you can contain dissatisfaction, instead of dealing with it publicly. Market research is crucial for the success of every business. Not only that, but the information gathered from research will help you make more calculated decisions, instead of taking a risk by following your gut. Oftentimes, simple means, like online surveys, can yield the best results in acquiring the right information that will help your business grow.